At LeWeb in Paris today, SoundCloud is announcing that it is rolling out the new version of its site to all users, while its service now reaches 180m people per month. Onstage, CEO Alexander Ljung is set to reveal that users of the service now upload 10 hours of music and audio every minute. SoundCloud’s mission to become the ‘YouTube of audio’ appears to be progressing well, with the Berlin and San Francisco-based startup claiming to now reach 8% of the entire Internet population per month. There were no new specific numbers announced for registered users. The company claims 15 million in May this year. Still, 180 million people consuming SoundCloud content shows how much of an impact the site has beyond its core user base. 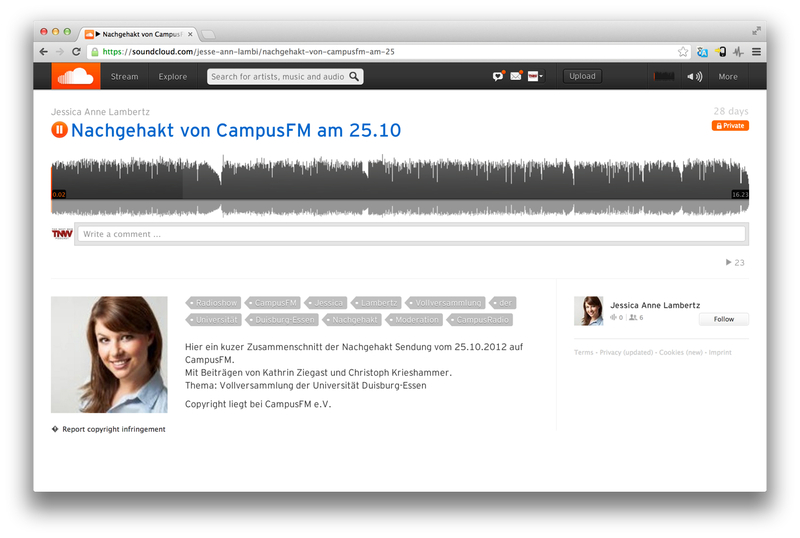 The new version of SoundCloud’s site was first announced earlier this year and has been available to some users in a limited form since then. Now it’s becoming the default design, offering improved recommendation, new search and discovery features, and automatic “follows” for bands and artists that users like on sites they connect with, such as Facebook. Ljung ran through the new features onstage, also including Tumblr-style reposts and the ability to curate sets of recordings to share together. An update SoundCloud’s mobile apps will roll out on 6 December, offering support for reposts, improved search, and user experience updates for iOS and Android.